February 2009 - Pebbles, Inc.
It’s that time of year again . . . Valentine’s Day! You either LOVE it or despise it. 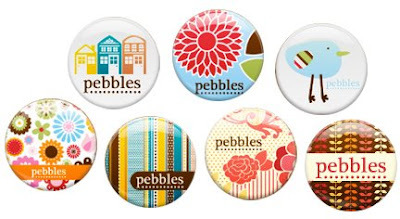 Here at Pebbles Inc. we love it! We had a day full of food, fun, and laughs. Oh yeah, we did a little work on the side. How are all of you spending your special day of LOVE? We wish you all a Happy Valentine’s Day and appreciate all of you, our Pebbles Inc. friends. 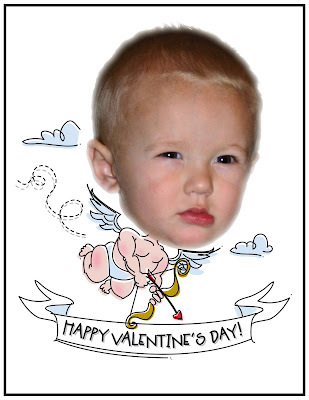 Special thanks to our little Pebbles Mascot, Cupid Conrad! If you weren’t able to get some flair at the show, it’s not to late to get some now! Check out the side bar for the flair that you’d like to add to your blog, save the image–or images!–to your desktop, and add the image to your blog! Be sure to link the image to us and we’ll do the same for you! We’re growing our buddy list right now and it’ll be up and running soon. Want to be added as a buddy? Leave a comment and we’ll be sure to link over to you!